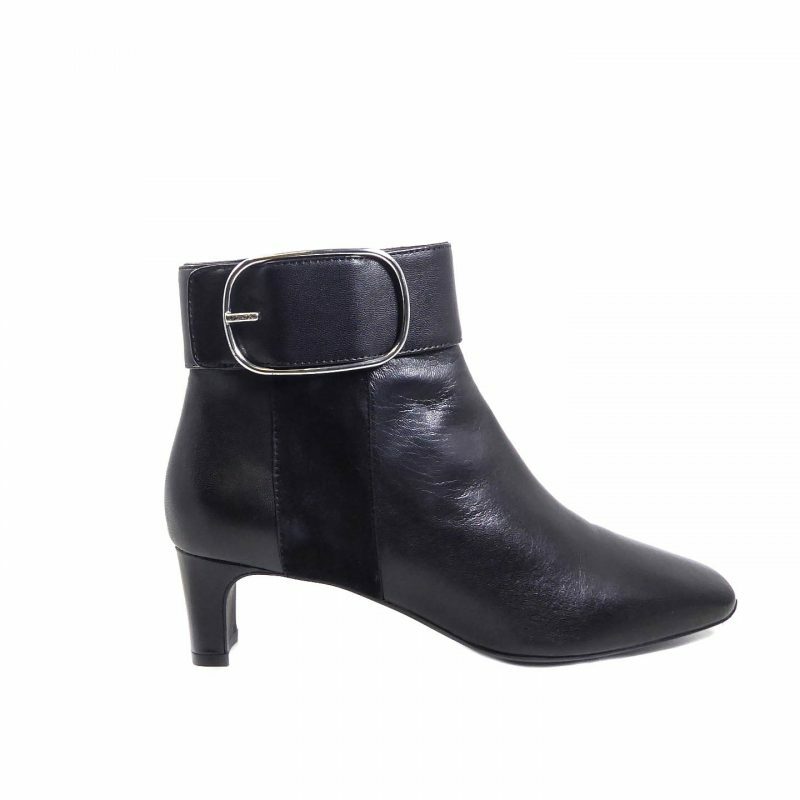 Felicity ankle boot by Geox is a perfect choice for the lady who is looking to elevate their look without towering heels. 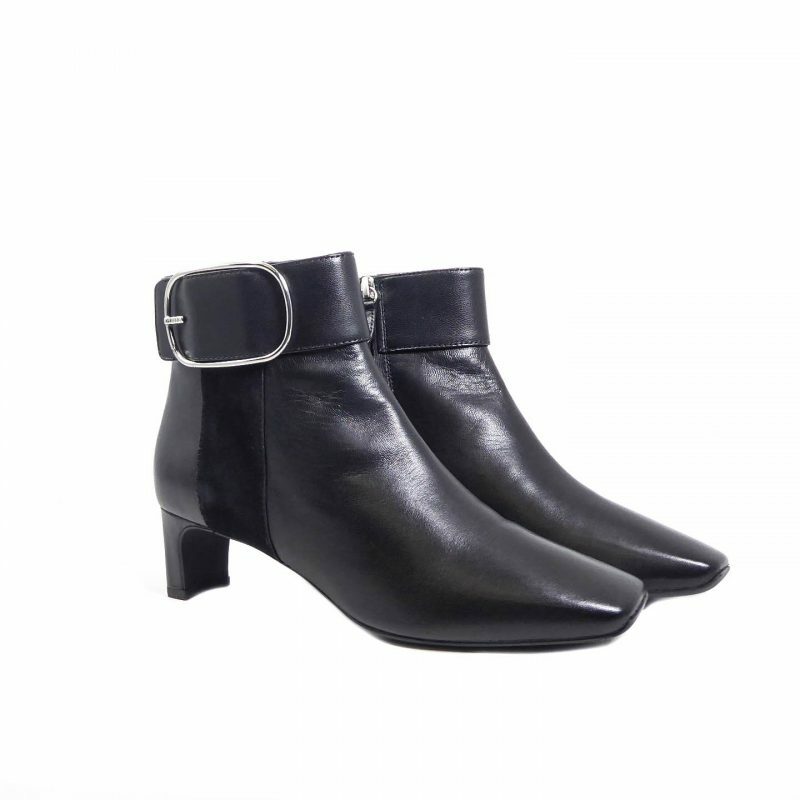 60Ûªs inspired, this retro boot has a mid block heel, a square toe and side zip for fastening. 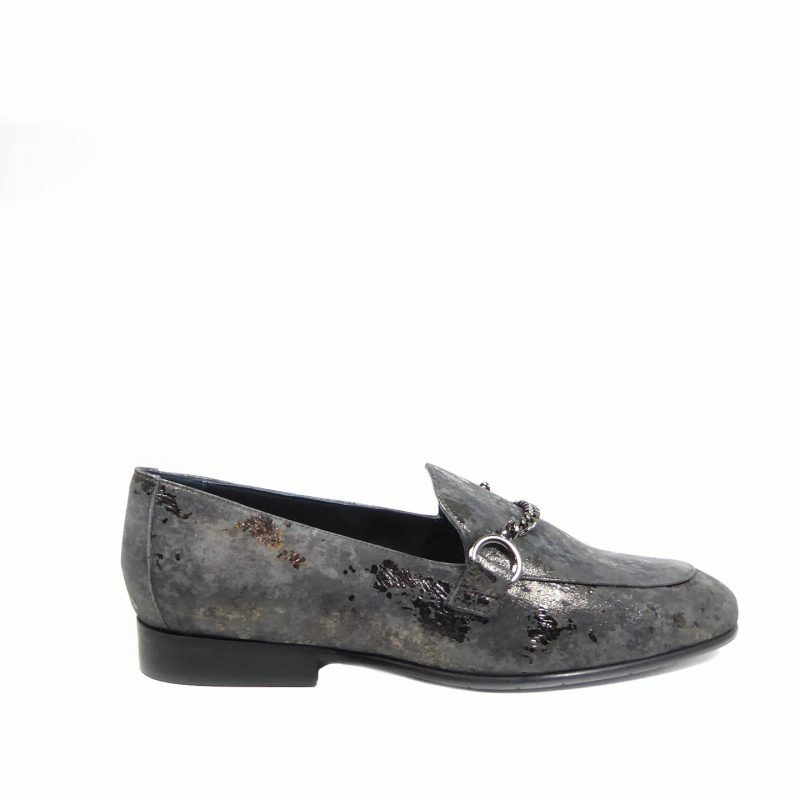 Featuring a leather upper with a contrast suede panel with gilt buckle. A comfort inner sole and a rubber sole completes the look. Pair with straight trousers or tweed skirt.